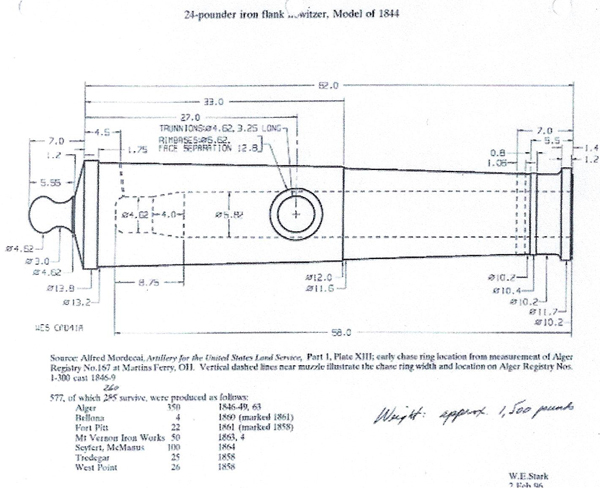 This one is one of the first 125 of these howitzers made by the Alger Foundry. 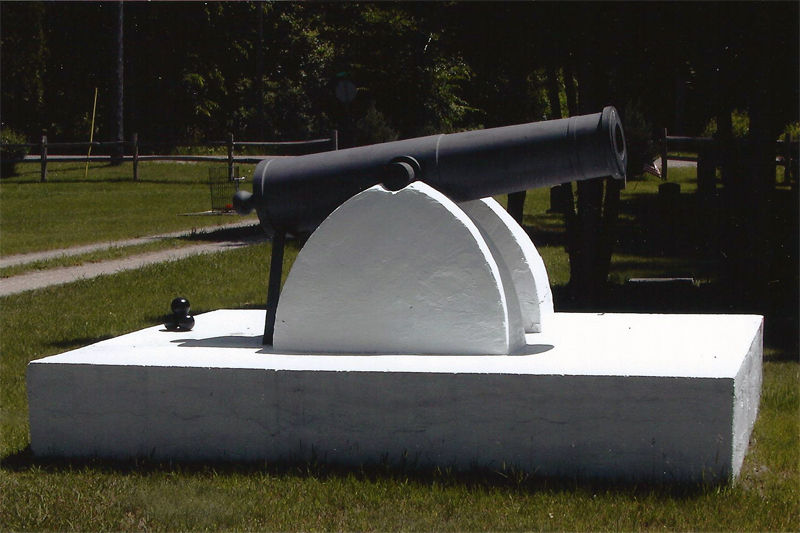 There were 577 of these howitzers made by seven different foundries from 1846 to 1864 and were used in all the forts from Maine to California. 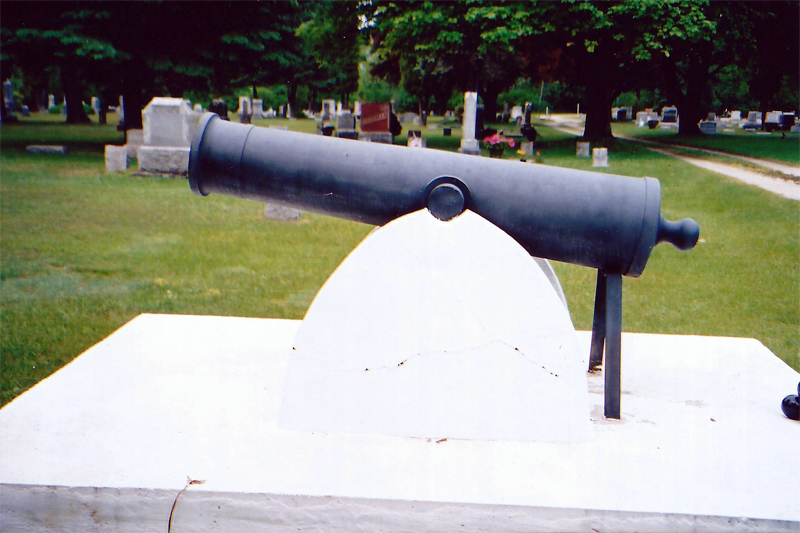 Flank howitzers were mounted in bastioned casemates of seacoast forts for flanking fire to defend against attack from the landward side. They were mounted on casemate carriages, a special sliding carriage that was used nowhere else. I don't think any seacoast fort was ever attacked from the land side; so it is most likely that no 24-pdr flank howitzer every saw active service or was fired for any purpose but practice. Model 1844 - Cyrus Alger & Co. - Boston, Mass.